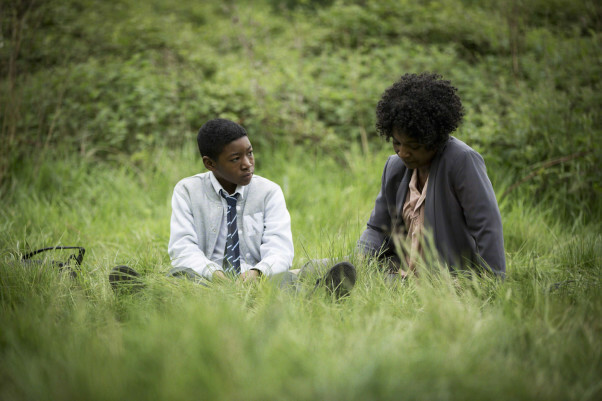 The fiction feature Second Coming, written and directed by Debbie Tucker Green, screened in the Festival’s Panorama section last Wednesday 23 September. Our blogger, Aurora Herrera, attended the screening, where the director was present. Second Coming has a sensitive, nuanced style of filmmaking. It also expresses the vocabulary of the domestic life of a family more through what is not said than what is. The story follows Jackie, her husband Mark, and their eleven-year-old son, JJ, who live in south London. To JJ, the routine life of the household provides a safe space for him to enjoy being a kid with no responsibilities. However, Jackie seems off kilter from the very beginning. She is pregnant and she seems to have no idea how it happened. As the story gradually reveals, she and Mark have not been intimate in quite some time. As each day passes, Jackie recedes further into herself. Tucker Green creates a sense of claustrophobia with tight camera angles. This stifling feeling pervades the household and more and more cracks appear along the fault lines of the family. The film remains ambiguous as to Jackie’s true state of mind. She does not acknowledge any extra-marital relations but her unwillingness to tell her husband does raise the level of suspicion. Eventually it is revealed that the couple has suffered four previous miscarriages. The audience comes to understand Jackie’s fears about the pregnancy and also about telling her husband. Scenes of domestic life are juxtaposed with seemingly mystical events. Jackie begins to have what she calls “visions” that begin with a light rain drip-dripping in her bathroom. Tucker Green once again keeps the camera tight, not panning to the roof for the audience to investigate whether the cause might an unfortunate plumbing issue. As her pregnancy progresses, Jackie begins to suffer from nosebleeds and that light drip-dripping rain becomes a windy tempest. Suffice it to say Mark and JJ do not wake up to a flooded house. The audience is left to question whether these phenomena are really symptoms of an immaculate conception, omens of the second coming or if Jackie is suffering from any cognitive dysfunction caused by a tumor or some other malady. Truly, the success of this film is in Tucker Green keeping allegory at arms length. 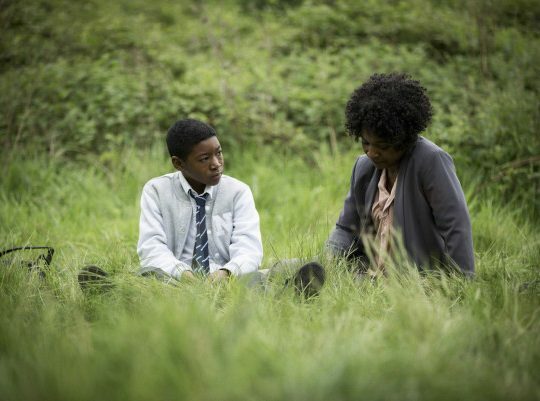 Despite the colourful interjection of Jackie’s Jamaican family and the spice of their patois, all of the main characters fall into a state of despair, a feeling which Tucker Green conjures with ellipses in conversation, the blandness of not only their domestic space but also of their interpersonal relationships. The muteness of fear defines the experience of the film. Surfeits in conversation would have broken the delicate silence of sadness that grips the audience. Jackie eventually has the baby, a girl, and we see the family together one year later celebrating her first birthday. In the last moments of the film, something happens that could only be described as a miracle. When one audience member asked Tucker Green about the psychology of the main female character and what really happened, the director maintained that she prefers to keep the story ambiguous and let the audience work through it for themselves. Apart from Marshall, the cast features Kai Francis-Lewis (JJ) and Idris Elba (Mark). I felt that the cast was stellar in their respective roles. Tucker Green commented on the casting process. One of the audience members commented on the cinematography. The director was also asked about her experience working with the birds that appear in the film. You can see Second Coming again on Monday 28 September, 9.00pm, MovieTowne POS.